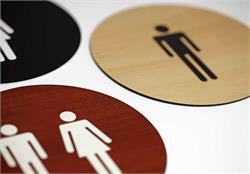 Simple and classy restroom signs that will not ruin the look of a well designed office or place of business. 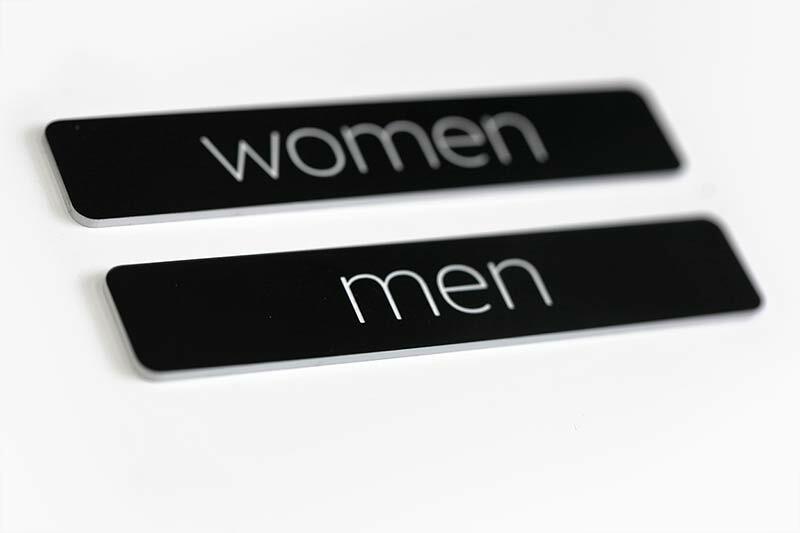 Or maybe you need to mark a door or bathroom but do not want the whole world to know. 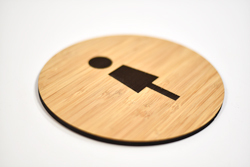 These small discrete signs are cool yet subtle. Customize these 3-3/4"W x 3/4"H (1/16" thick) engraved acrylic signs if you like, with your own text. 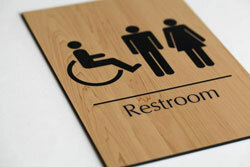 Or, keep it simple and order standard text "Restroom". 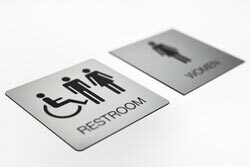 If you need a size not shown here, contact our customer service team via email at service@officesigncompany.com or via phone at (701) 526-3835 with your custom details and we will send you pricing. 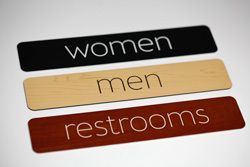 Customize your restroom sign text. 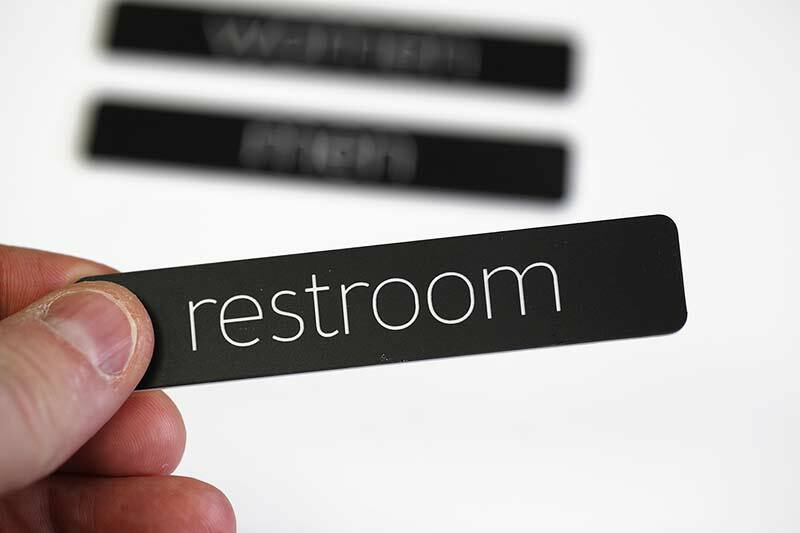 Standard text reads “restroom” in all lower case letters.